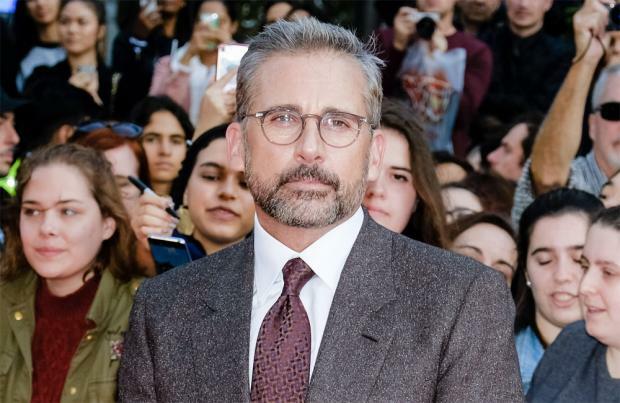 Steve Carell was inundated with offers to play "murderous villains" after his Oscar nomination. The 56-year-old actor was shortlisted for Best Actor at the 2015 Academy Awards for his portrayal of sinister wealthy wrestling enthusiast John du Pont in 'Foxcatcher' and after previously being known for his comedic work, the drama led to him being offered very different movies, though not necessarily in the direction he wanted to take his career. He said: "[I was inundated with scripts for] psychological thrillers, always with me as the murderous villain. "So some doors certainly swung open. But they weren't necessarily ones I wanted to go through." Steve's next movie is 'Beautiful Boy', a father-and-son tale of drug addiction which is based on the memoirs of both David, who he plays, and the writer's son, recovering addict Nic Sheff. While the actor got to meet with the real David, just as when he spoke with fund manager Steve Eisman for his portrayal of a version of him in satire 'The Big Short', he found their conversations quite uncomfortable. He explained to the Sunday Telegraph magazine: "It's always odd, because you don't want them to feel as if they're some sort of science experiment. But at the same time, you don't want to be cavalier." When it came to shooting 'Beautiful Boy', Steve – who has Annie, 18, and Johnny, 14, with wife Nancy – found it particularly difficult to film a scene where David cut Nic out of his life in a phone call. He said: "That was particularly hard for me to wrap my head around. Because it goes against every fibre of your being as a parent."